It’s far more philosophical than “televisional”, so don’t worry. I did not intend to bog people down with plot minutiae and spoilers. Speaking of, as far as spoilers go, there are only a couple concerning very recent episodes of the current season, and even though are fairly nebulous. Besides, how the story is told is just as exciting (if not more) as what the story is. 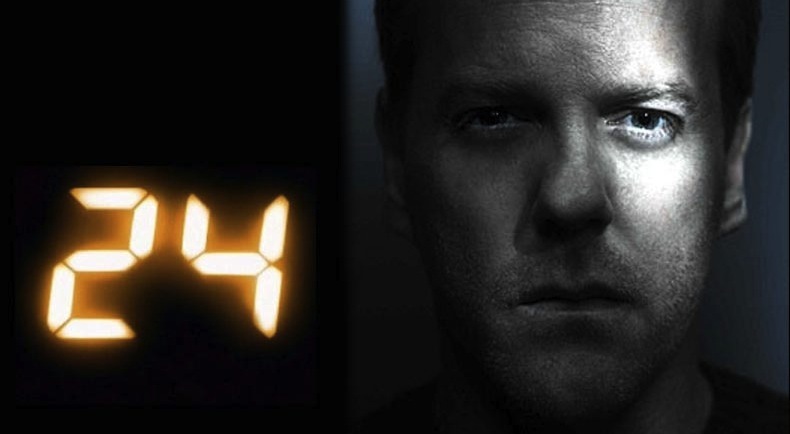 24 has been one of my favorite shows since its beginning 9 years ago. Heck, more seasons than not, it has claimed full-on “favorite show” status. And I watch it during the television season. I don’t punk out like all those immediate-gratification whores that just watch it on DVD. I sit there every week, pulse pounding, mind racing, having to wait until the next week until the next episode comes on to find out what happened. I don’t just press Next on the DVD remote. But, after this season, DVD will be the only way to watch 24, and I fully advise any and all of you to do so. It’s got everything: action, suspense, love, cliffhangers, investigations, exotic locales, compelling characters, amazing acting, and some of the most finely-tuned and incredibly nuanced political, philosophical, and social commentary I’ve ever watched. Can you tell I really enjoy this show? What do you think about this season? The show? How do you think it will end? You can see all of my past articles for Patrol right here.